Pacific Crest Trail on Atrial Fibrillation? 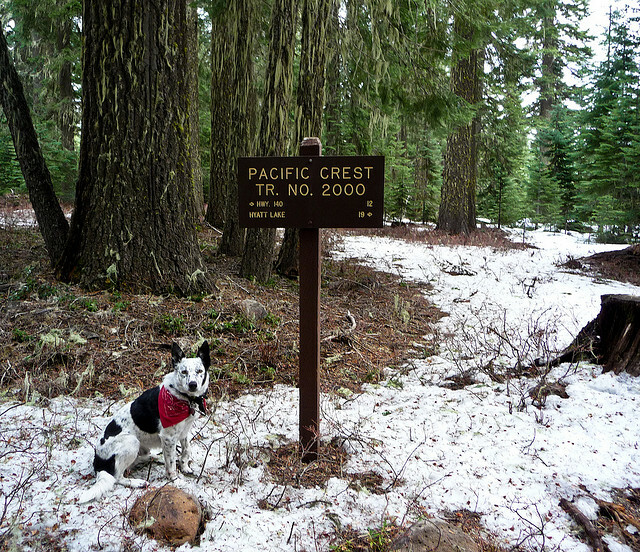 I live near the Pacific Crest Trail. The famous, fabled, fabulous PCT. Just about twenty-five miles away. You can look out our back window and stare lovingly at the mountains where it courses through the Sky Lakes Wilderness. Although I come off in this blog as a marathoner, or an ultrarunner, what I really enjoy more than anything is trail running (and mountain biking – but mountain biking is forbidden on the PCT so forget about that). I simply love trail running and hiking, especially in the local Sky Lakes Wilderness and Mountain Lakes Wilderness; and the best part of being at my level of fitness and health is being able spend a weekend day doing a ten, fifteen, or even a twenty mile trail run. Although it is a slog now because of the atrial fibrillation I still love it – I love the movement through the wilderness and I love the trail itself. 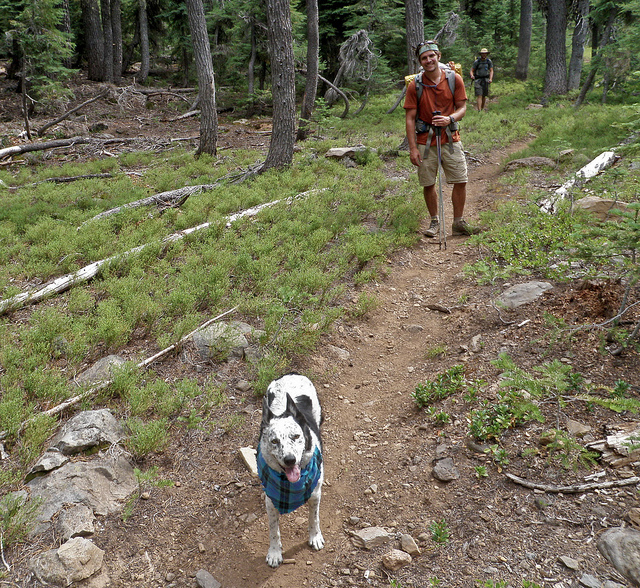 Usually the only one who goes with me is my little trail dog – Ringo. At this time of year – late Summer – all the thru-hikers, or I should say the small percentage that have made it this far, are coming through Southern Oregon. 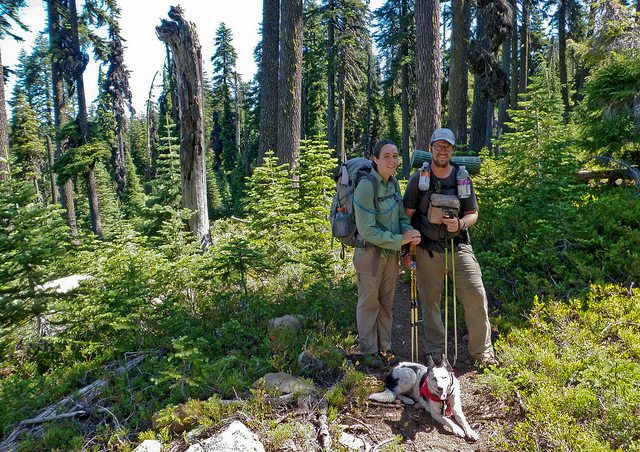 Most thru-hikers are traveling from South to North; they start at the Mexican border and hike through California, Oregon, and Washington with the goal of reaching the Canadian border. There are a lot of hazards along the way that can cause hikers to drop out and fail to finish – including blisters, running out of money, running out of time, deep snow, diarrhea, boredom, and forest fires. I try to spend time on the PCT this time of year and will often photograph thru-hikers and post the photos on my flickr page. Cactus Eaters by Dan White – probably the best written PCT book and my most recent read. 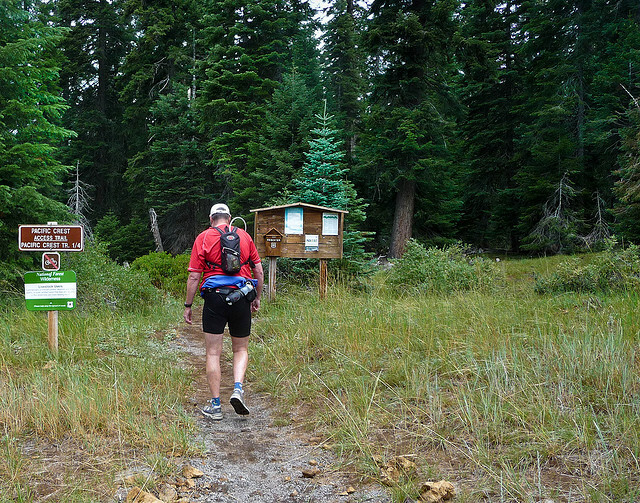 Cascade Summer by Bob Welch – a middle aged Oregon newspaper writer hiked just the Oregon section. This might be more my speed. Wild by Cheryl Strayed – the most well known and popular PCT book that will undoubtedly get more people on the trail. Also a well written and engaging read. A Blistered Kind of Love by Angela Ballard – fascinating dual journal by a couple thru-hiking the PCT. It was interesting how the different genders report their trail experience. The male writes about where they went and what they did, and the woman writes about how she feels. Skywalker – Highs and Lows on the Pacific Crest Trail by Bill Walker – the most endearing and charming PCT book ever. Pacific Crest Trail Hiker’s Handbook by Ray Jardine – groundbreaking and controversial – Ray clearly changed the way people approach long distance hiking. A Long Walk by Hap Vectorline – a whimsical journal of a partial through hike that started at the Canadian border and made it as far as Oregon. In addition to the books I read various PCT blogs, and many of the youtube videos as well. My dream is to someday thru-hike the PCT – but I don’t think it will ever happen for a number of reasons. I’m certainly in good enough shape, and strong enough, but at 53 am I too old? I don’t think so – I’ve met plenty of thru-hikers that were middle-aged. They tell me they are slower and have to leave earlier and hike longer to keep up – but that would be no problem. I think hiking for that long on anticoagulants might be an issue. On Pradaxa falling just isn’t what it used to be! The main problem is, of course, finding the time. I work full time and just don’t have the resources to take six months off from work. Maybe some day I could just thru-hike the Oregon section. 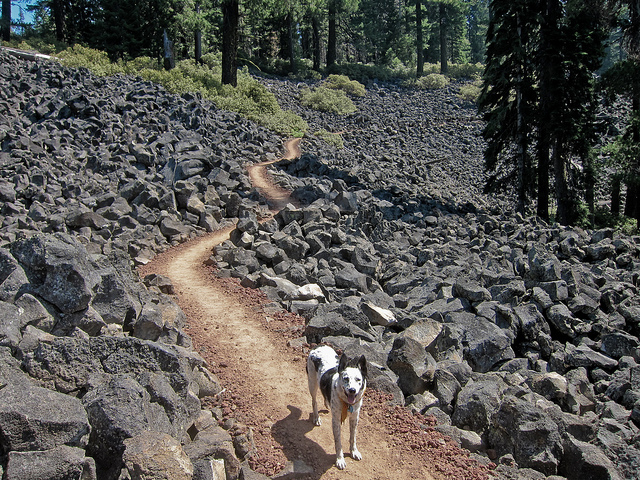 Or maybe just the Sky Lakes Wilderness (fifty-one miles) – that could be done in a weekend. Why not? *Our local hospital, where I am on the surgical staff, is the Sky Lakes Medical Center. I like our hospital – I’m just saying that I’d prefer to die with my sneakers on, so to speak. Not my first marathon, of course, I think it was my fourteenth marathon, and maybe not even my first marathon in a fib. I should really re-title this as something about running my first marathon when I KNEW I was in atrial fibrillation. I recall one particular marathon, a couple of years ago, where I started out great and after twenty miles I totally fell to pieces. 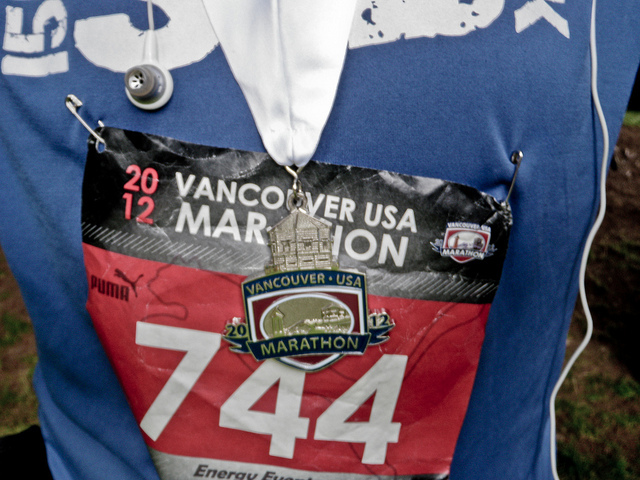 I would have quit if it hadn’t been a trail marathon with no easy way to DNF – I still had to get to the finish line. In retrospect I realize this was not “hitting the wall,” which I don’t generally tend to do, but I’m pretty sure I went into atrial fibrillation at that point. I don’t mind suffering but that was absurd. It was like eating your favorite food and inexplicably finding it tastes like $&!T. That was before I even knew I was going into a fib, and I was probably still going in and out of a fib – but ever since May 12, 2012 I have been in persistent atrial fibrillation (meaning that I am always in a fib and have no expectation of NOT being in a fib). In May of 2012 I was actually training for my first 50K (31 mile) race (Bighorn Mountain Wild and Scenic Trail Run, Buffalo, Wyoming) and I had been doing a lot of long runs – looking at my training log I see that I had already done six twenty-milers during my training for that race. I asked my electrophysiologist, who I hadn’t yet seen for my appointment, if I could run the 50K and he said I shouldn’t; so I was effectively grounded as far as the 50K was concerned. 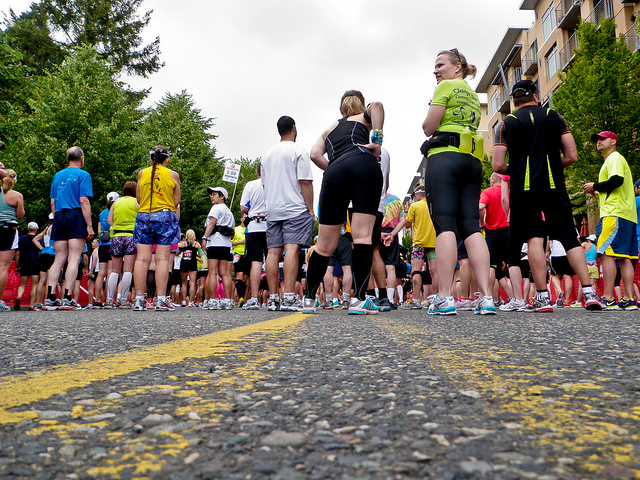 I looked at the online marathon calendars and discovered that there was a regular marathon (26.2 miles) that same weekend, and only a five hour drive – the Vancouver USA Marathon in Vancouver, Washington – just across the river from Portland, Oregon. 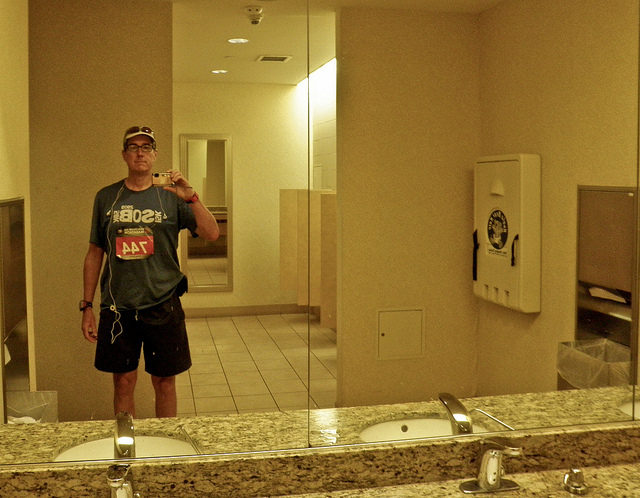 I admit that I was scared – this was unknown territory – running a marathon while in atrial fibrillation. Would I be able to complete it? Would I drop dead? Would I suffer like an animal, I mean, would I suffer even more than running a regular marathon? In a lot of ways the course for the Vancouver event was a lot safer than the Wyoming event. The Bighorn was up and down remote canyons in the Rocky Mountains whereas the Vancouver USA was a flat course through the suburbs of Portland. If I needed to drop out of the race, or if I needed medical assistance, that would be simple – go ring a doorbell. But naturally I was still nervous when I started out. My plan was just to get through it. I decided not to try to beat anybody, to keep it slow and steady, and to walk up the few little hills that were part of the course. Marathons In All 50 States – EIGHT TIMES!!!!! As stated previously the experience of being in persistent atrial fibrillation is different than that of going in and out of a fib. Persistent a fib isn’t as bad. I’m slower but stable. People who suddenly go into a fib in the middle of a race often find themselves unable to continue – it can be devastating. I know – I think it has happened to me (see above). 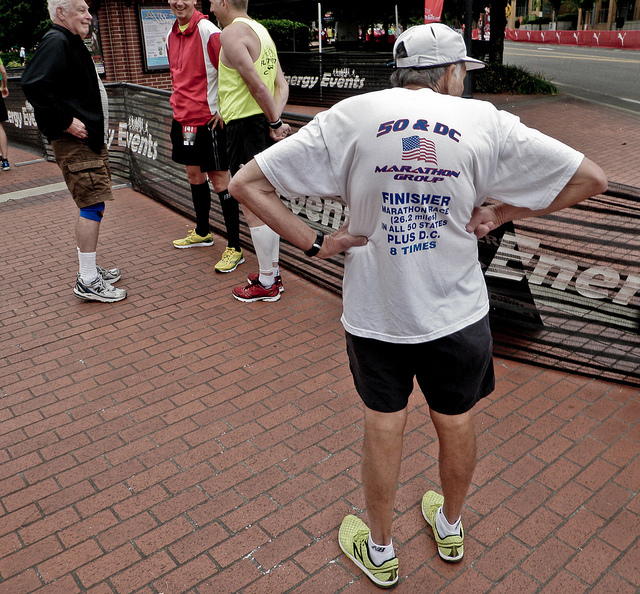 At any rate – I started running with the eleven minute mile pace group and hung out with them for most of the race. Eventually I realized that running this race in atrial fibrillation wasn’t that much different than any other marathon that I have done – except for being a bit slower. When I was into the final miles I was surprised that I felt fine – clearly much better than the race described above. I think my plan of keeping it slow and walking the one or two hills worked out – I had very little suffering. Crossing the finish line was an emotional experience and even though I was there all alone I broke out in sobbing tears. Tears of joy, I guess, because I had finished the marathon and I hadn’t died! It really was just about like normal and I started wondering – just how many of these things had I done in fib? If you’re a runner in atrial fibrillation and you are reading this I want to make sure that you realize that I am NOT saying, “Go run a marathon in atrial fibrillation.” I am simply relating my personal experience. I am just one individual and, naturally, your experience is different. 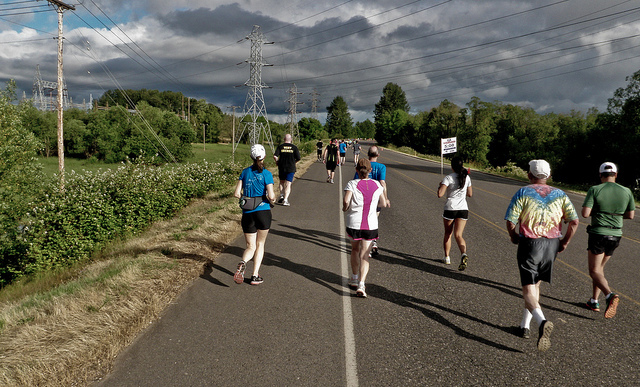 I stress that it is important that you agree with your cardiologist regarding running and atrial fibrillation. This blog is just my personal story – it isn’t peer reviewed and I am not a cardiologist. By the way when I finally saw my electrophysiologist he cleared me to continue running and did go on to complete my first 50K four months after the Vancouver USA Marathon. At this point I am comfortable with distance running in atrial fibrillation and am not (too) afraid of dying out there – but that first marathon in (known) atrial fibrillation – well – that was huge. My next event, incidentally, is the Bizz Johnson 50K in October.